7 years 44 weeks ago. 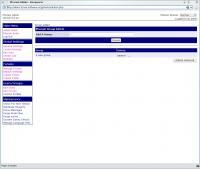 Need to Host your Phorum Forum? Our best selection of plugins for Phorum. You will find additional forum themes and templates on the dedicated Phorum Trac page, and the same goes for modules, you can find at the Phorum List of Modules page. 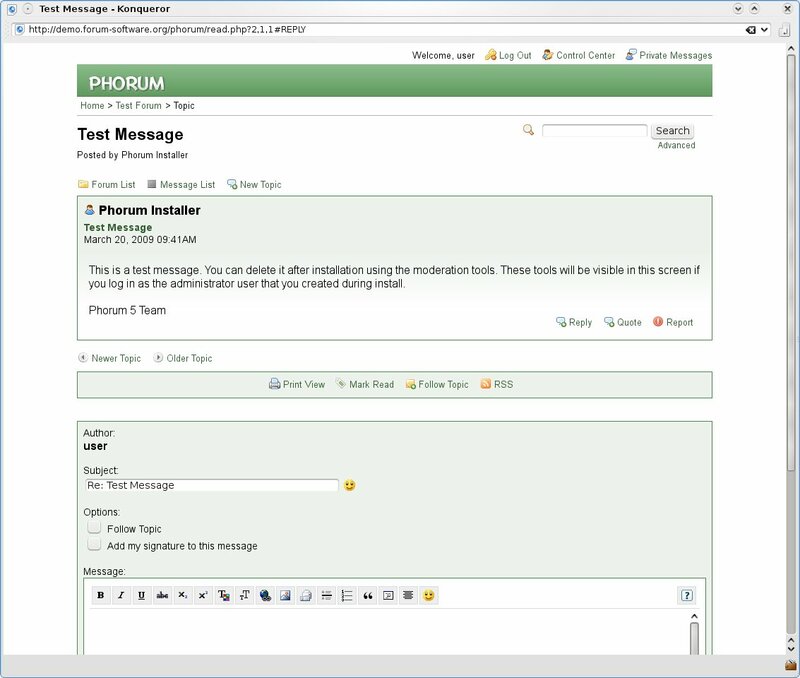 Phorum, which is the Latin writing of the 'forum' word, is a forum software that particularly focus on high performance and additionally provides a very good level of quality for a quite complete list of features. These goals are particularly important for the most important forum community that uses Phorum: it indeed runs the official MySQL forums, which are a very good example of Phorum's ability to support big communities and large traffic. 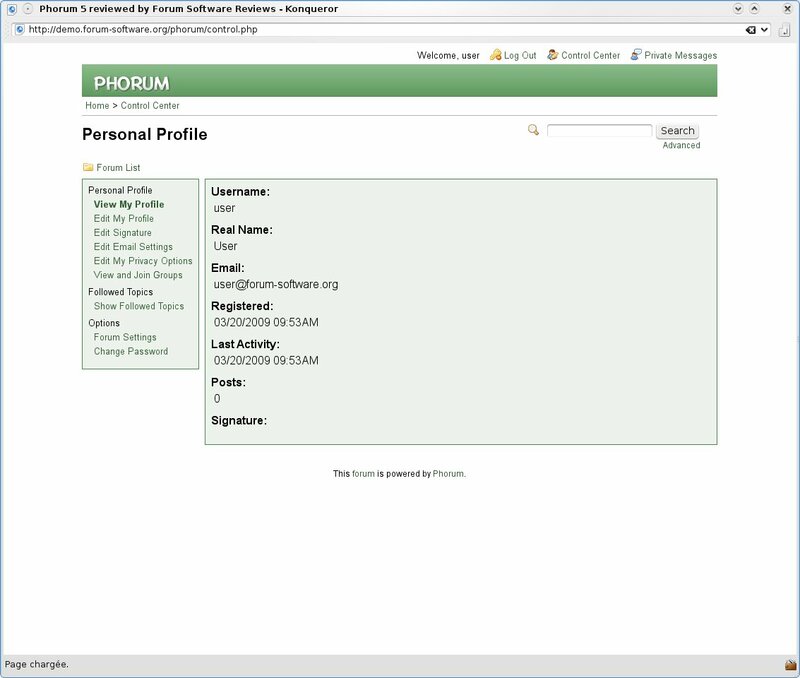 Phorum is licensed with the Phorum License, which, according to Phorum's main developer Brian Moon, is pretty similar to a BSD license style. Phorum development started in 1998, and the next big step will be the major version 5.3. 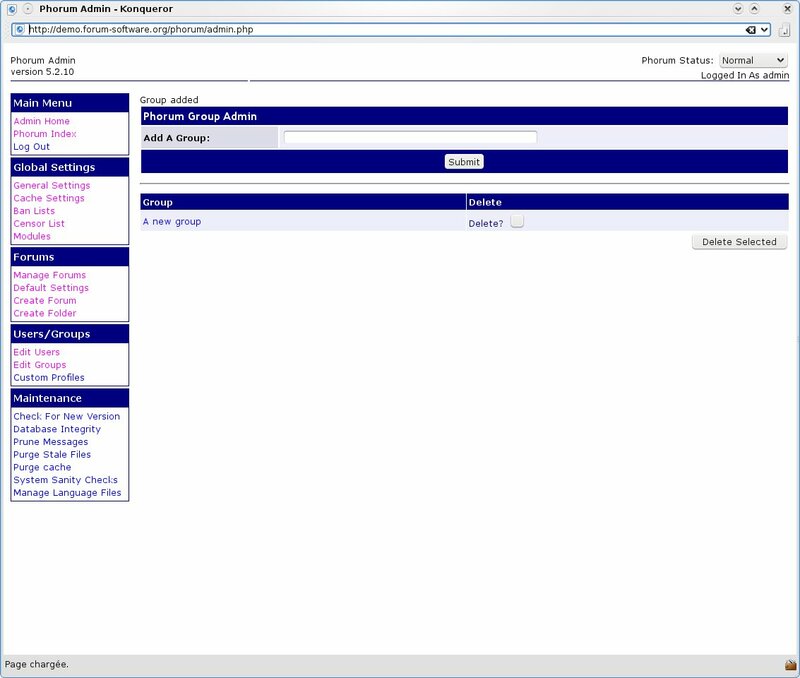 August 11th, 2011: Update review with Phorum version 5.2.6. 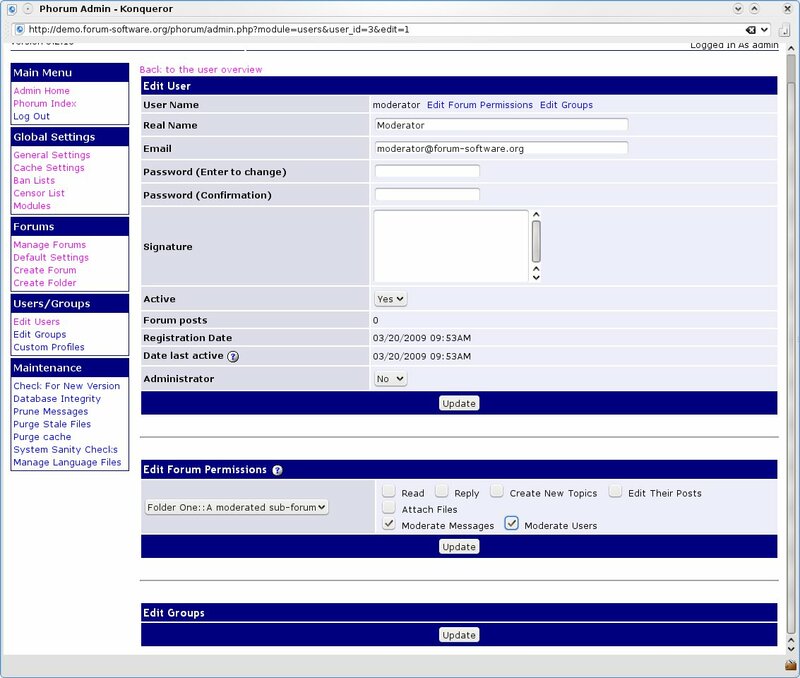 March 20, 2009: This review has been updated using Phorum version 5.2.10. Phorum is recommended for Huge Community. Phorum is a typical LAMP software, which needs the famous list of technology Linux / MySQL / Apache / PHP to work. Upload via Classic Attachments. Images are all at the end of the post. Posting messages and creating topics is as efficient as any other good forum software. The way user groups are implemented is really interesting: each users can ask to join the group he wants, and groups then will accept or not their requests. This is really useful if you want to host several groups or communities on the same forum, that would be auto-managed and totally independent in their capacity of recruiting new members. RSS integration is well implemented, and available for each threads you want to follow using an external tool (who said Google Reader? The mandatory Quick Reply form is present as well at the bottom of each thread, and is a perfect way to comment a topic in second. Some details about Phorum features regarding members. Phorum default additional features are quite limited, but this is consistent with the search for speed. 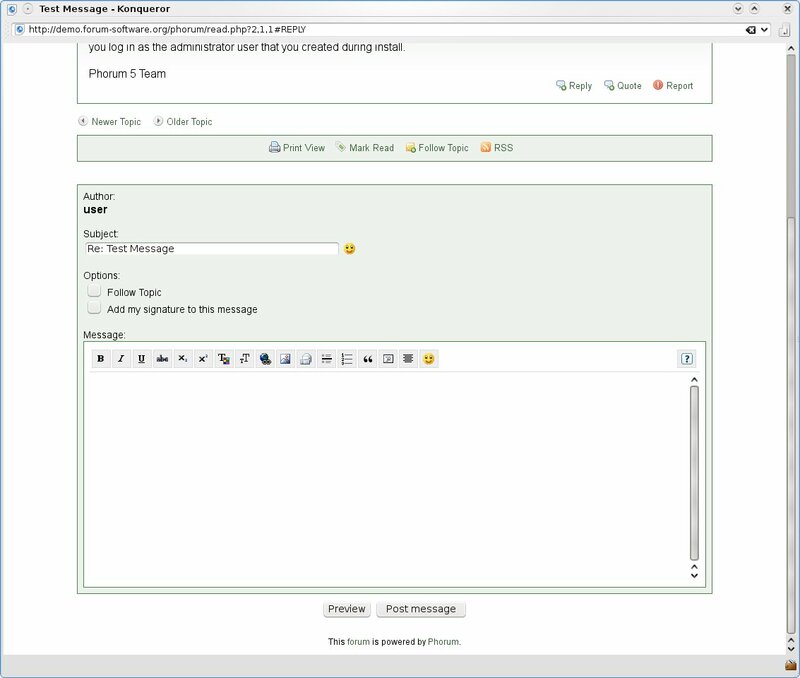 Live chatting and smileys for example are typically features than can slow down a forum, by loading multiple images and user generated content, with some AJAX. Pre-Moderation In pre-moderation, every post needs to be validated by a moderator before being published. Distributed Moderation By organizing the forum around moderators, who are usually power and experienced users, moderation is self-powered and only depends on the community. 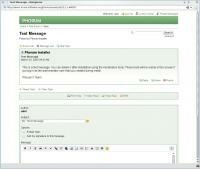 Convert an existing forum to Phorum. Secunia Advisories severity affecting Phorum. Secunia Advisories impact affecting Phorum. The Phorum integration has a dedicated forum discussion in the Community Forum of Phorum. Unfortunately, we was not able to test integration with other softwares, so do not hesitate to report any success story about integration of Phorum with another web tool. 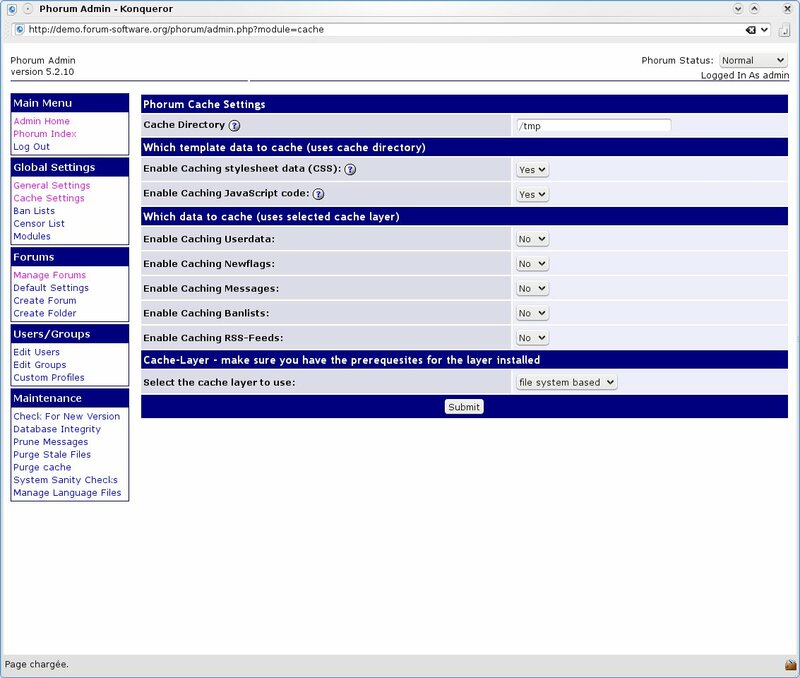 The Phorum software has an huge additional modules list. Regarding integration with other software and services, you will have to go to this official forum section for more information. Does Phorum correctly follow (X)HTML and CSS norms? Norms are correctly respected by Phorum, and theme creation is quite easy, as it mainly consists with simple CSS modifications. Phorum follows guidelines for what is was developed: Speed and Efficiency. However, you won't find with a vanilla Phorum features you expect per default with software like PhpBB or Simple Machines Forum. We however insist on "per default" because another good qualifier for Phorum would be its Extensibility. Hundred of plugins filling gape with other bulletin boards are indeed available in the Modules page of your administration panel, and will bring your forum installation to an advanced forum in few clicks. Of course, this will require additional searches, tests and configurations, but you will quickly notice this is a good way to understand and tune your forum to reach a perfect state, including features you exactly need. Finally, to sum up, Phorum can be seen as a core system, that need to be extended with only what each forum manager needs. Companies (think about MySQL...) using Phorum prove also that Phorum is considered as a robust and well developed software. Consequently, following this circle of trust, you can easily let Phorum manages an huge community, in the unique condition you will not be the only person that will moderate your forum, but, that's another common question all community software share. 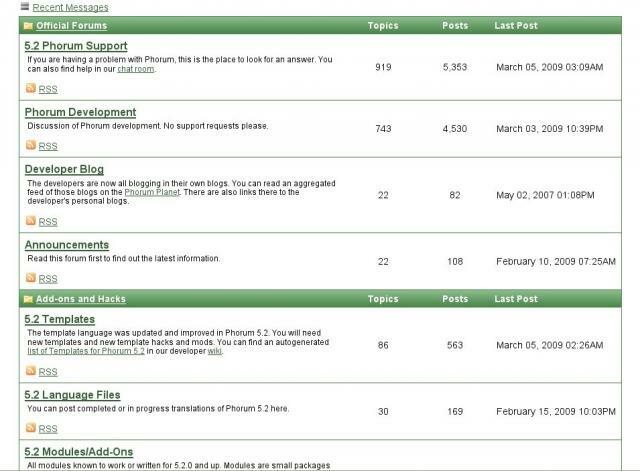 Compare Phorum vs PhpBB 3 vs Simple Machines 2. Ask your questions to the Phorum Community Forum. Get Users Reviews about Phorum and Share your experience. The reviewer tells an incomplete story. The Power of Phorum is in fact is module/plugin system. The reviewer lists Phorum as not having any plugins. In fact, there is a smilies, captcha, HTML, BBCode editor, polls, surveys, and more. All of those are things that the reviewer claim that Phorum does not offer. As for the editor getting old for users that use the forum a lot, that is an option for the admin to choose. There is a template engine. It is more than just CSS. It is similar in some ways to Smarty without the class overhead and a less complex syntax. There are also plugins and instructions for integrating Phorum with both Mambo/Joombla and Wordpress. RSS feeds are not only available for a single forum, but the entire Phorum install, and a single thread. The default template contains a link tag at each level to the appropriate RSS feed. I am not sure what User Banishment refers to exactly, but a user can be deactived. As for the "messy" options under each message, we chose plain, readable text wording that fully describes the action. We find this much more usable than a non-descript icon. Some other features this review claims we do not have that we in fact do are: Anonymous posting, private messaging, word filtering and file attaching (we had this over 5 years ago). In closing, I would contest that we do offer the power that others offer. However, with Phorum, it is done with our also powerful module system. Having administered a Phorum installation over 5 years I find this review highly inaccurate. I suggest you check all the "missing" functionalities in your list again and add them because most of them are already there. Your conclusion about the Speed & Power is true, but lacking power? especially compared to phpBB (newer tried simple machines) makes me laugh. It's like you complained that Firefox is speedy but lacks power compared to Internet explorer. I haven't missed any functionality in years because of Phorums plugins. Someone has usually already made one I need. If that wasn't the case I made one myself or imporoved/changed existing plugin. Default template too simple for beginners? Yeah, it should be more complicated so they wouldn't feel lost. And in case you didn't notice there's only 1 line of message options for normal users. The other line is for administrators only. Message reply form can be on it's own page too etc. This is nice site where you can have a glimbse of different forum software very easily, but if you can't keep the most basic facts in order you loose credibility really fast. To become de facto place for Forum SW comparison make better reviews. I've just added a little paragraph about the difference between a default and simple installation and its extension capabilities, to really match what Phorum is exactly. The goal of Forum-Software reviews is to describe how a forum looks like in a default installation, because most webmasters will simply test a software, look at its features briefly, and directly uninstall it if it does not support *by default* what it looked for. You're right when you say that this review is incomplete because this review do not test the plugins of Phorum, just the default installation. So, I will add ASAP some additional information about those plugins, to inform people that if they want to use Phorum +extensions, then they will have a really complete and powerful tool for their community. Of course, if there are real mistakes on default features that Phorum provides, please let me know to fix them. anonymous posting is possible in the default-installation. just needs to be enabled for the forum with allowing permissions to public users. smiley-module is distributed with the default install. might just need to be activated in the admin-area. Thank you, these mistakes are fixed. Sorry for those errors and thanks again to report them. Thank you for addressing the inaccuracies in your review. I have some more for you to fix. - known to work in Windows & IIS (there are some small differencees because of PHP's missing functionality in that platform, nothing major though). But thank you anyway for correcting the obvious mistakes. I can only hope you make small corrections to the text too. For example the fact that the final score is the same even if the functionality of Phorum is much better than your initial report has in it. Thanks again for those comments, I've updated the review to fix these errors. However, I will not change the final score, firstly because 7/10 is one of the best score in Forum-Software.org (same that PhpBB, and only under SMF), and secondly because I will not change the forum scores each times someone ask me to do it. The opinion and this good score will be sufficent to convince webmasters that Phorum is a good forum software. You still have us as No for that feature. However, we have it. And its quite nice IMO. Phorum can be integrated with Amember from CGI Central, I run 4 websites with these systems and most of them handle a lot of posts per day. I am kinda amazed by the way you guys here review software. You state in your summary that e.g. MySQL.com uses Phorum. So how on earth can you give a rating like this?? If you would have taken the time to check other live sites out there using Phorum you will see that the Phorum installs runnign are either barebone ones to optimize the speed option or full graphic sites with more options then e.g. phpBB has. There are some other pretty darn big websites out there using Phorum. In my years running phpBB it was getting hacked at least 3 times a year. I didnt have that problem with Phorum. It can be integrated very easy into a website template without the hassle phpBB has. Seriously, don't expect me to take this site sirious after this I am sorry. My rating for this is C, mainly because of the way software is reviewed here. Dont like my opinion then remove my post. Yes, I didn't know that MySQL.com uses Phorum, and this has changed the score of Phorum on Forum-Software.org. And please also note that 7 or 8 on 10 is a really good score. Please however note that Forum-Software.org is a really young website, and that it is going to evolve a lot in the next months, evolve because tests will be done more seriously (because we will have more time for this, instead of developing FSO modules and components), and evolve because users like you will give their important opinion to us. If you look better, Forum-Software.org cannot be for the moment easily found in search engines, and that it has only be found because one of the Phorum user points it from phorum.org web site. And, no, I will not remove your post. well, we want to know if a blog can be functioning simultaneously on the left hand side of the page while the board/forum is functioning on the right half of the page? sorry if this seems odd, I'm asking for a friend & I don't know much at all about forums as an admin would. Phorum 5.2.10 has been released. The review should be updated too. The Live Demonstration & Review updates are planned and will be made soon. Thanks for the information. As you may note, the Phorum Review has been updated. This is my favorite forum software, without any doubts! In case you accept "plugin" only for plugins shipped with the product then some of the "plugins" above don't qualify though. Update done. Thank you for your comment. Thanks for the information, I've added your translation to the review. Do you plan any updates on this review? Keep up the good work! 5.2.16 is released since ages, can you rereview ? Can reviews facilitate me out in choosing a proper net hosting service? I would like of steering to pick out the cloud host for my internet web site where may I get it? I am trying to add your site's Rss to my personal feed reader however it is not working properly, you could would like to check it out to ensure its operating properly. What does not work well, do you have details? Works fine for me lastnico. Hi,this is andy lee,nice to see u. Could you fix some of the inaccuracies: - forum style: Threaded, flat and hybrid (not only flat) - Attachments (Phorum has had them forever so I wonder why you haven't updated the data, they must be enabled from the admin though, which is only a positive thing) - post editing format includes HTML (Not only BBCode) - post rating: module (plugin) - syntax highlighting: Yes - calendar: module (plugin) - poll creation: module (plugin) - Friendly URLs: module (plugin) - Custom emoticons: module providing "smilies" can add & change smileys - custom thread icons: module (plugin) - CMS / Blog integration: module (plugin) for many cms's - user database integration: Yes as both master & slave (plugins) - Template engine: Yes (custom smarty-like) - mass mailing: both PM and email, module (plugin) - Statistic: module (plugin) - Error/notice log viewer: module (plugin) In case you accept "plugin" only for plugins shipped with the product then some of the "plugins" above don't qualify though. Complete and with all the options! - Social Media Integration: Allow members to share site content via social media (Facebook, Twitter, Google +). - Profile search: Search by distance, zip codes, cities, countries, usernames, keywords. Ability to narrow down site search to any geographic location. 'Refine Search'. Saved search criteria. Quick and Advanced search forms. - Mailbox: Internal messaging system in a convenient dialogue-like contact center. Improved user interface. Possibility to start new conversations right from the mailbox. Auto-complete suggestions from the friends list for the 'Send to' field. - Speed-Dating: A capturing feature that takes your site to a new level of online dating experience. Lets your members meet new people and make friends in a fun and easy way. Can be used with a regular text chat, and audio/video chat applications. - Games: Single- and multiplayer games for members to play on the site. Online Poker, Dominoes and Pool will make users stick to your site, and recommend it to their friends. - Photo upload: Customizable limit for uploaded photos. Easy preview. Private photo. Password-protected photo. Watermark support. Photo tags. - Music upload: Allows site members to express their mood and personality by uploading, commenting and rating their favorite music tracks in MP3 format. - Who viewed my profile: Shows users who viewed a member's profile, and a number of times his profile page was opened. - Matchmaking: View the list of profiles that meet your match criteria. Receive the matching profiles list (with photo) to your email. - Video chat: Advanced flash chat with webcam support. Available as chuPPo Chat addon and 123FlashChat addon. - Virtual Gift Shop: Makes it fun for users to express their sympathy for other site members by sending graphic presents from a Virtual Gift Shop. Possibility to show/hide the member's virtual gifts on a Profile View page. Features categories for virtual gifts. 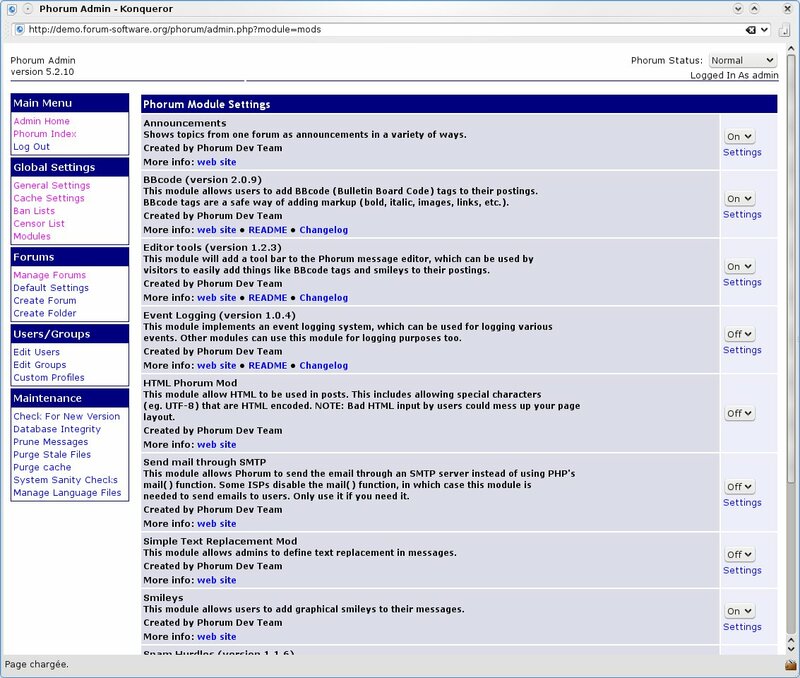 - Shoutbox: A general chat that can be added to your site index page for non-logged in visitors, or to the MemberHome page for the registered members. It is a great tool for site users to express themselves and attract attention with just a couple of clicks. Comes with a badwords filter. Can be configured to be membership-dependent. - Groups: Allows site members to create and join sub-networks (groups) to share their interests and affiliations. Private and Public groups. Private group forum. Join free or by invitation only. Group image upload. - Video Instant Messenger: Private chat for online members with webcam support. Available as chuPPo Messenger addon and 123 Web Messenger addon. - Events: Allows members to submit events with photo and description. Calendar/list display modes. - Audio/video profile: Members can record multiple audio/video profiles online via webcam. Available as chuPPo Recorder addon. - Ajax chatAjax-based text chat. Supports chat rooms and Instant Messaging. - Cometchat: A Facebook-style chat addon that allows your site members to have private text and audio/video conversations, play multiplayer games, share files and screenshots, exchange hand-written messages and much more. - Facebook connect: Allows your site users to join and then login to your site with their Facebook account details. 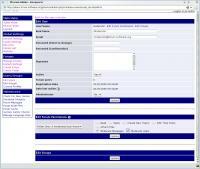 The system synchronizes the profile data of a member's Facebook account with profile fields of SkaDate-powered website. - Forums: Public message board as a native SkaDate feature. Possibility to insert pictures to the forum post body, attach files to forum posts, send private messages from the forum post view page. - Profile builder: AJAX-driven drag'n'drop interface for building a custom profile page. Allows members to add/move/remove profile page components. - User Points system: Allows site members to buy or earn user points (credits) and spend them on site services, such as Virtual Gift Shop, sending and reading messages, initiating IM sessions and more. 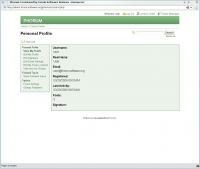 - Customizable profile status: Members can protect their privacy by making their profile either Private or Public. - Blogs: Personal full-featured blog for every member. Summary of latest blog posts. - Invite a friend: Send invitation letters. Customizable email template. Customizable invitations limit. Customizable invitation lifetime. - Preferences page: Members can set their own preferences for using the site. - Profile guestbook: Personal member message board for others to comment. - Member reports: Members can report inappropriate content on your web site. - Tags: A really capturing new age feature. Members can tag their content like photo, video, and blog posts. Search by tag. Popular tags selection. - Polls: Really helpful for gathering public stats. Unlimited polls answers, display and vote control. Custom answer support. Deactivation time control. - Classifieds: Members can post job vacancies and classified ads at your web site. eCommerce option available. 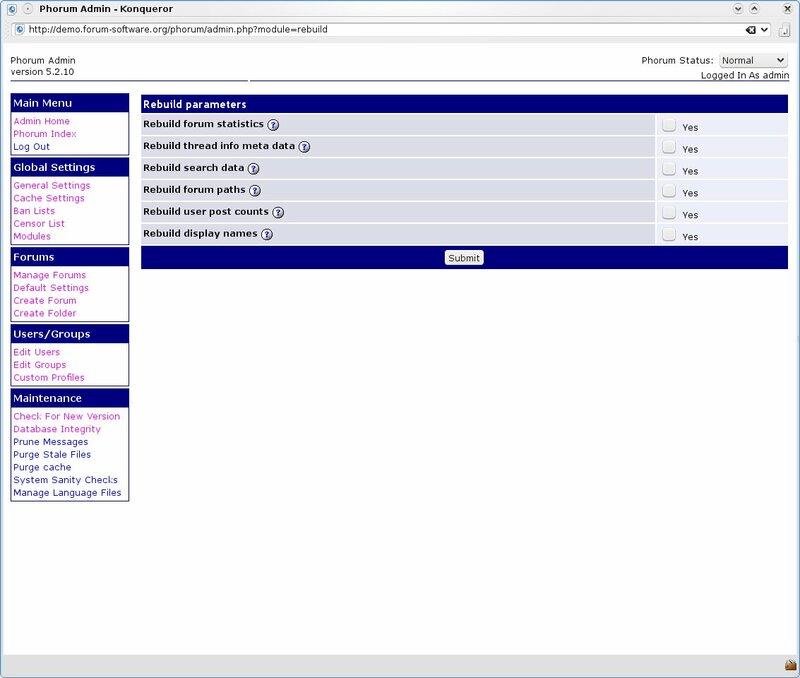 Site Administrator can set classified ads either for manual, or for automatic approval. - Blocklist: Possibility to block members to prevent them from sending you messages, gifts, initiating an IM session with you, bookmarking your profile. - Contact import: Import your friends contacts from more than 20(!) email and social networking services to invite your friends. - Referrals system: Allows members to register for viral site promotion and makes it a snap to track referral statistics in the Admin Panel. - Bookmarks: Possibility to bookmark noteworthy profiles. - Photo/video/blog Rate: Ajax-driven interface for quick and fun content rating. - Friends networking: Friends network displayed on a member's Profile View Page. - Music player: Listen to your favorite music by embedding codes from popular music share resources such as Spool.fm and others. - Send profile to a friend: Send noteworthy profile links to your friends by email.